these are both adorable Becky! Love the texture and dimension!! 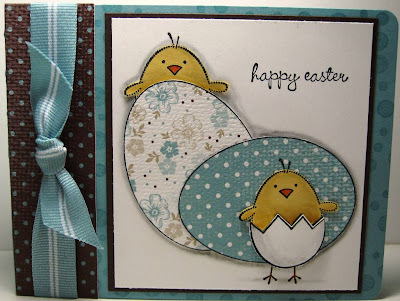 I love your Easter card! 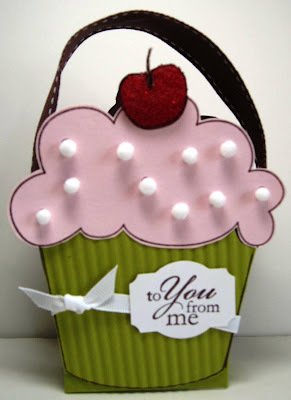 How cute is your cupcake bag. Becky, you are sooo talented. I have recently found you/your site, and I am so glad I did! Becky, your stuff rocks! I love your blog, I will visit more often now that I found you! I absolutely love this idea. I was wondering if there is anyway you could trace the pattern of the cupcake. I have been looking everywhere for a pattern that size and I can't find one anywhere. I would really really appreciate it. Thanks somuch. You always have such fresh ideas - LOVE 'EM! Love the texture and dimension! !